This article is part of PR News' series of mini-case studies showcasing successful agency/client partnerships. Hunter Public Relations and Mrs. T’s Pierogies teamed up to accomplish a somewhat daunting task. For years the brand had consistently targeted the quintessential middle-aged mom—or more specifically, anyone who was in the head of the household position that made purchasing decisions. In an attempt to divert the brand into new territory, Mrs. T’s made the bold move to target and develop a strong connection with millennials. 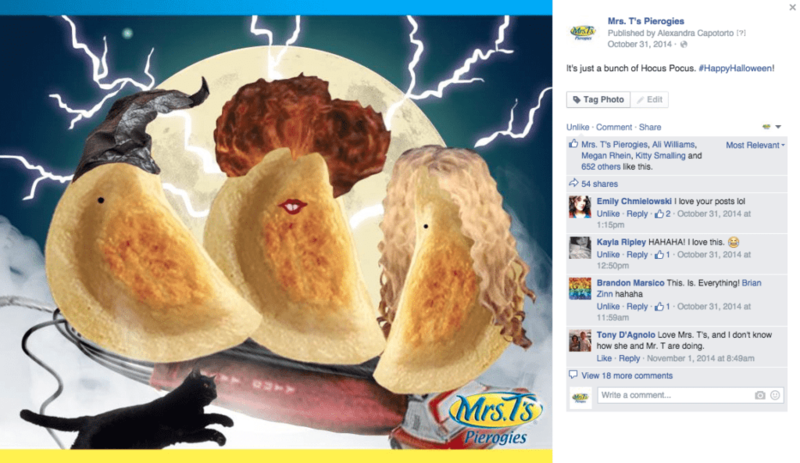 Because of the organization's past communications programs, Mrs. T’s was largely inactive on social platforms that are famously profitable for organizations that target a millennial audience. As a result, Hunter and Mrs. T’s had to start from the ground up. First, the partners determined and developed the brand’s social persona and tone of voice by conceiving of a fictional millennial and defining her interests, tone of voice and what she would or wouldn’t say. With a clear voice and messaging laid out, the partners decided to focus its work on inserting the brand into notable pop culture events. The partners worked to engage millennial consumers through live tweeting during notable events like the Academy Awards and multiple television specials. But it was the attention to current events that landed the brand its most significant opportunity. During the NBA championships, commentator Shaquille O’Neal incorrectly described what a pierogi is, and the brand stepped up to offer him some fun pierogi education on Twitter, which secured the brand multiple mentions in the Washington Post. By inserting the brand where millennials lived online, Mrs. T’s and Hunter were able to generate almost 2,500 Twitter followers to the brand’s previously nonexistent Twitter account. During the campaign, Facebook fans also increased by over 20,000, with engagement rates increasing by 14%. As a result of their work on digital platforms, most notably Facebook, the partners received a 2015 PR News Digital PR Award.